My Pee Dee River Swamp Sauce (barbecue sauce) came in the mail this week, and I was chomping at the bit to try it out. Tim Pattan sent that free sample out to see what I thought, and he's from North Carolina. I love my North Carolina fellows, and I always hope they make good barbecue stuff, because I'm a tad picky. You can't very well review stuff if you think everything just totally rocks. I did a little taste test, and this was good tasting barbecue sauce. It combines various North Carolina elements. There's that vinegar twang and the hot pepper kick. My eyes aren't what they used to be, but I think that label said anchovies. If not, someone can let me know. Sure looked like it to me. This is more of a mop sauce - thinner and can be used more liberally than a Kansas based tomato sauce. But, it ran just a little thicker than many of the NC BBQ sauces. I did grill up some country ribs with Pee Dee River Swamp Sauce, and they turned out great. Nice heat level and a nice heat - not that bitter hot that I don't like. Smooth. Robust. Really yummy. Complex mix of flavors. Really tasty. 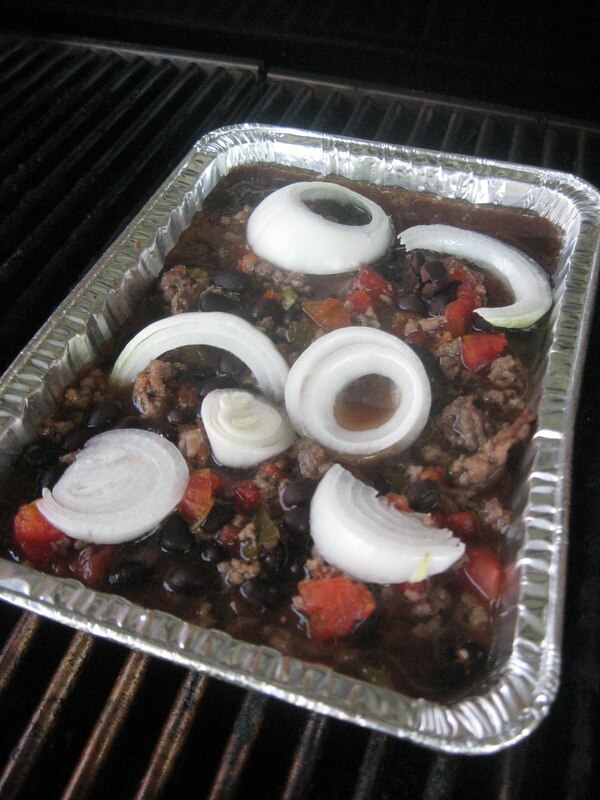 I just mixed everything together right in the "use it and toss it" aluminum pan and then put the beans on the grill until they were hot and bubbly. I loved these Swamp Sauce beans, but my mild son found them a little hot. 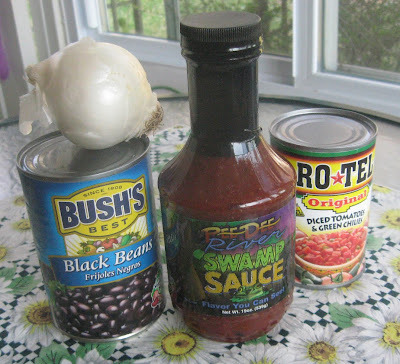 Use the mild Rotel tomatoes (rather than regular which is what I used) and cut the Swamp Sauce down from 1/4 cut to 1/8 if you want to make these milder beans. They're hot enough to make you break a little sweat as I made them, but I like them that way. It would not be hard to cut the edge back, and the flavor really is great. These are not real thick beans like many baked in the oven with pork and beans mixed in. 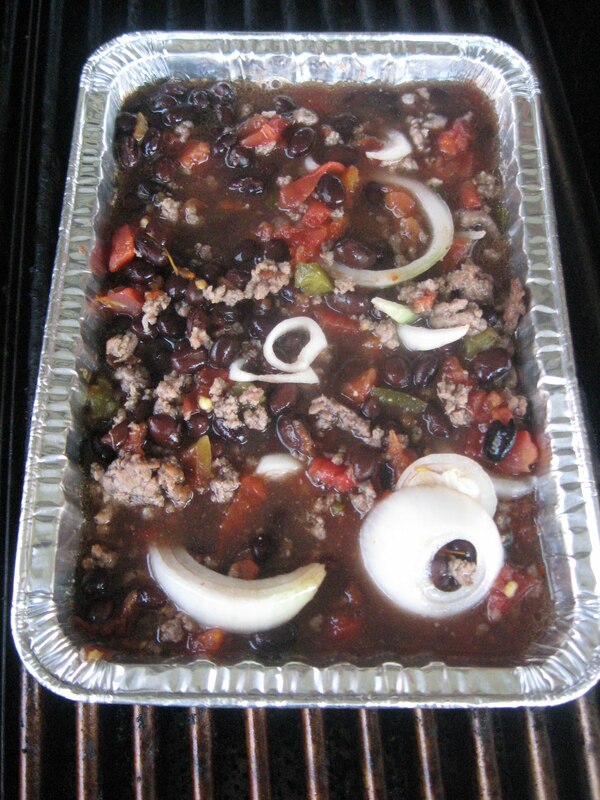 You could surely add pork and beans and also a can of tomato paste if you like them thicker. I prefer mine thinner, but tastes do vary. 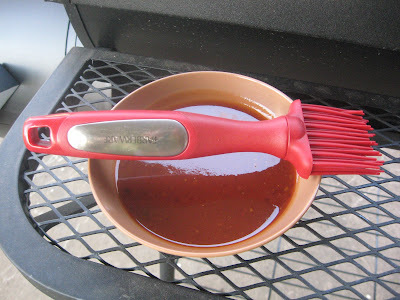 I know what I'm eating for lunch tomorrow - the rest of these Swamp Sauce Grilled Beans. Heck, I may get a wild hair and go finish them off before bed, but it's getting too close swimming suit season to be doing stuff like that very often. 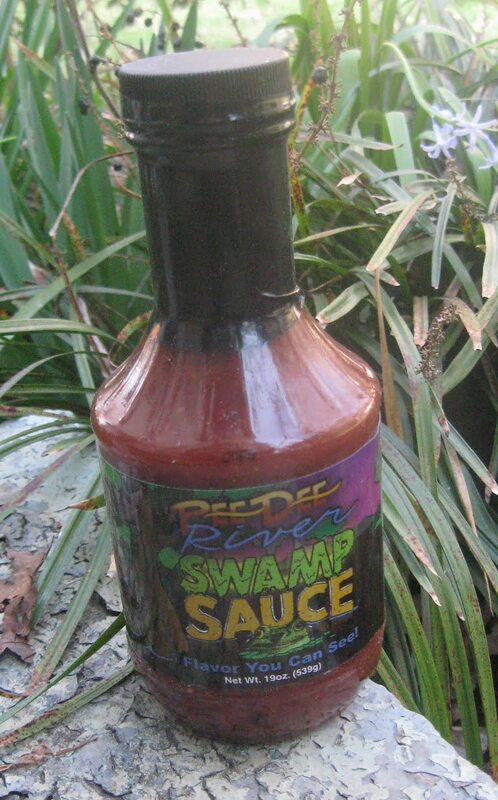 Thumbs up on Pee Dee River Swamp Sauce. 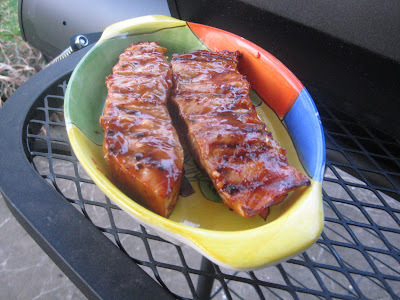 It was terrific on the pork, and it rocked my grilled beans too.